Burn injuries are frightening, dangerous, and may lead to long-term suffering, disability, or disfigurement. Yet up to 50% of burn injuries result from negligence and did not need to occur, according to the National Fire Protection Association. If you are a victim of burn injuries because of another person’s negligence in Orange County, speak with an experienced Orange County burn injury attorney – Chris Purcell at Purcell Law in Irvine and Santa Ana – immediately. You may be able to obtain compensation for your medical bills and other expenses related to your injuries. Every burn can also be classified as first, second, third or fourth degree depending on the severity of the injury. Each type of burn can cause each different degree of burn. For example, an electrical burn can be either a first, second, third, or fourth degree burn, depending on the severity of the injury. First degree: this type of burn is the least severe and is characterized by red, non-blistered skin. Second degree: this type of burn is characterized by blisters on the skin and some thickening of the outer layers of skin. Third degree: this type of burn is one of the more severe types and is characterized by extreme thickening of the skin, and a white, leather-like appearance. With more than twenty years of experience representing burn injury victims in Orange County, Chris Purcell is passionately committed to helping those injured because of the negligence of others. If someone else’s negligence is the reason you are a burn injury victim, let Chris Purcell fight for the compensation you need – which can be substantial in burn injury cases – and the justice you deserve. Unfortunately, treating burn injuries can be incredibly painful and expensive. The more severe the burn is, the more medical treatment will be needed. Severe burns may require surgery to remove portions of the affected skin, while others may require skin grafting, a technique that transplants healthy skin from other parts of the body to the affected area. If the burn caused disfigurement, the victim may have to go through reconstructive plastic surgery. Burn victims may also require rehabilitation and physical therapy treatment to get back on their feet and fully functioning. They may have to meet with occupational therapists, dietitians, speech therapists and even mental health counselors if the burn has caused emotional anguish, which it so often does. HOW CAN LAW FIRMS HELP BURN VICTIMS IN ORANGE COUNTY? The recovery process is long and the medical bills quickly pile up. That’s why it’s essential that you contact Chris Purcell to determine whether you are entitled to any compensation for your burn injury. If another person’s negligence or a defective product caused your burns, compensation may be awarded to you, but first, you have to get in touch with an attorney. Medical expenses: this includes both current and future medical expenses for treatments, surgeries, at-home care, physical therapy, rehabilitation, medication, medical equipment and more. Loss of wages: if you have been unable to work as a result of your injury, you may be entitled to loss of wages compensation to make up for what you have lost. Loss of earning capacity: if your injury will affect your ability to work in the future, you could be missing out on a lot of money you were supposed to earn, and this type of compensation will help you recover it. Loss of consortium: this type of compensation is awarded to your spouse when your injury has severely impacted your ability to be a good companion to him or her. Pain and suffering: burn injuries can be absolutely devastating, so you may be entitled to compensation for the mental and emotional pain and suffering that has occurred as a result of the injury. 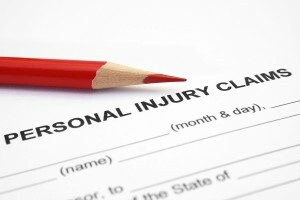 To determine whether you are entitled to damages, speak to attorney Chris Purcell right away. Call today to schedule a free consultation and Chris Purcell will review the details of your case and discuss your legal options. The sooner you make the call to seek representation, the sooner you will have an experienced attorney on your side fighting for your rights. Orange County personal injury lawyer Chris Purcell is committed to helping you get your life back on track after you have suffered burn injuries and helping you move forward in the most constructive way possible. Chris represents clients throughout Orange County, California including Santa Ana, Irvine, Fullerton, Tustin, Garden Grove, and Newport Beach. He has experience representing victims in cases involving slip and fall accidents, auto accidents, motorcycle accidents, truck accidents, construction accidents, product liability, premises liability, spinal cord injuries, and dog bites. All personal injury claims are handled on a contingency fee basis, so you pay no fees unless and until Purcell Law recovers compensation for you. To schedule a free consultation with one of our experienced burn injury attorneys, call 714-884-3006 or contact Chris by email today.